Under the Sea-Wind, with wonderful line drawings by Baltimore artist Howard Frech, was overshadowed by the outbreak of World War II and was a commercial failure. Carson never gave up on it, and it was republished to great acclaim in 1952. In this book Carson wrote of what life lived on or under the sea was like for three different creatures. It is a celebration of ecology and how life in the open sea is shared and how each creature contributes to the whole. It was inspired by Carson’s love of the mysterious and the wonder-full. 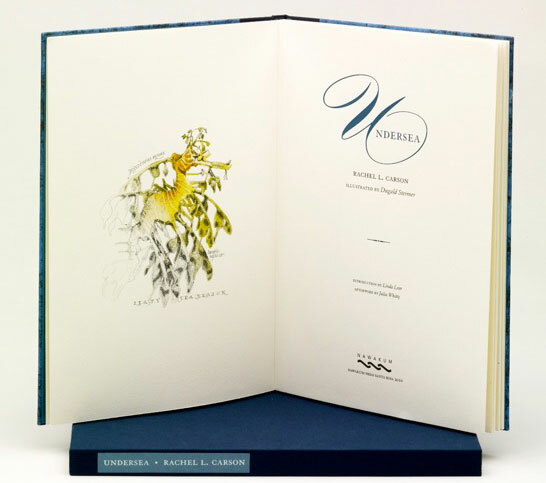 Her personal favorite of all her books, it marked the debut of one of the finest nature writers in the twentieth century and a scientist whose ability to see and to imagine life "under the sea" ultimately changed how we view our relationship with the natural world. 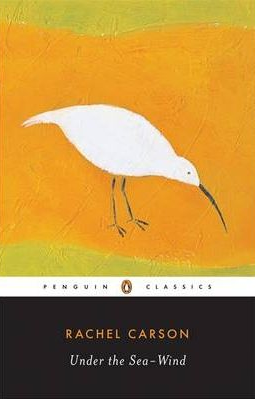 Penguin Classics published a new edition in 2007 featuring an introduction by Carson biographer Linda Lear which includes the original Frech illustrations.